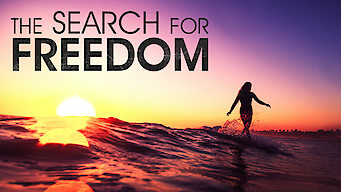 How to watch The Search for Freedom (2015) on Netflix Netherlands! Yes, The Search for Freedom is now available on Dutch Netflix. It arrived for online streaming on January 30, 2019. We'll keep checking Netflix Netherlands for The Search for Freedom, and this page will be updated with any changes. A philosophical dive into the electrifying, in-the-moment experiences of surfing, skiing and other action sports illuminates a cultural phenomenon. Some surf, some ski, some skate. All of these world-class extreme athletes are chasing the dream of freedom.